Oh say can you see? Better beware or you'll see too much! This cheeky Patriotic Naked Gnome stands ready to turn around and moon you at any moment! 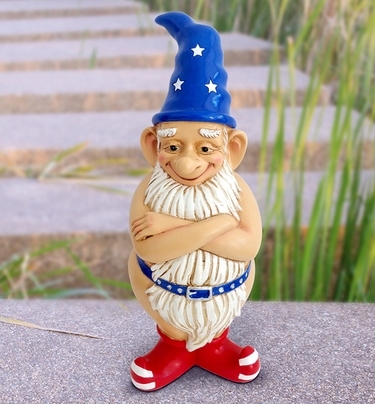 Perfect for the gnome enthusiast seeking a little good-natured humor! Just in time for your 4th of July party and beyond! Size: 5.25" x 4.75" x 13.75"H.